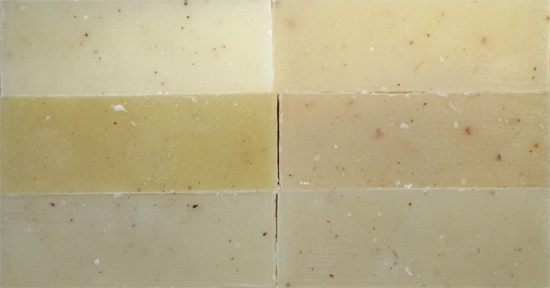 We make an unscented version of every moisture level of soap we make, for people who have sensitivities or allergies, or for people who simply don't like fragrances. We make an unscented soap for every skin type and challenge, including unscented soap for those with eczema or psoriasis. No artificial scents of any kind are added to our unscented soaps. These unscented soaps are truly fragrance free in that no artificial fragrances have been added in the making of the soap. However - you should expect that the natural ingredients themselves will possess a natural odor, such as the goat milk in the goat milk soaps, cocoa butter in our Hand Repair soaps, or Olive Oil in our Olive Oil Soap. These odors are simply the expected odor from these natural ingredients, and are something we cannot remove or change. If you cannot tolerate how olive oil smells or the natural odor associated with any other vegetable oil, milk or butter, you will not be able to tolerate smelling our unscented soaps. So please do not order them. 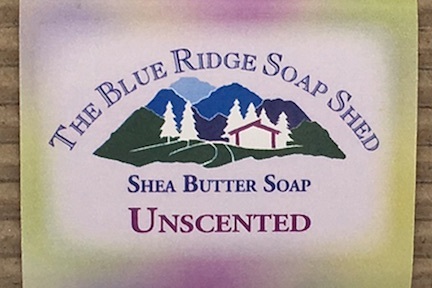 We do not accept the return of unscented soaps because they smell like the vegetable oils from which they are made. Choose from unscented 100% Olive Oil Soap known as Castile Soap, vegetable oil soap, goat milk soap, and shea butter soap bars. Unscented soap bars are packaged in plastic separately from scented bars, like we package all soap for shipment, so unscented soap will not co-mingle with any scented bars that may also be within your shipping package! Unscented Soap Samplers and Soap Trios are also available as fragrance free gifts for those with sensitive skin. A traditional 100% Olive Oil Castile Soap for sensitive skin with a moisturizing twist: luscious goat milk for extra lather and silky smooth skin. Castile Soap is made for those with sensitive skin, allergic to soap. True Castile Soap is always 100% Olive Oil, not 'mostly' Olive Oil. Our basic four oil recipe of olive, castor, coconut and palm oils with no fragrance added. A 100% natural soap.